If Monday's post giving ideas for a multi-day teaching theme overwhelmed you, then today's post is for you. We don't need to waste time dwelling on what we are not doing. We don't need to waste time feeling guilty. Instead, we can think about God's love, mercy and grace. Our works did not earn salvation. We want to teach and train our children in response to God's beautiful love for us. Think about "What is one thing I can do today?" 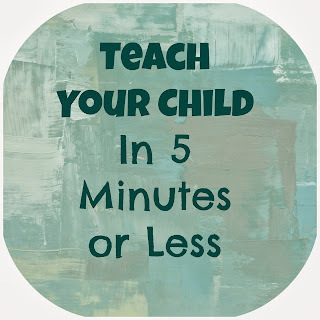 These ideas can be done with almost all ages of children (some even with babies). They will probably take 5 minutes or less. Pray with your child in the morning for the day. Sing a song together to praise God. Read a simple verse or a portion of a verse to your child. 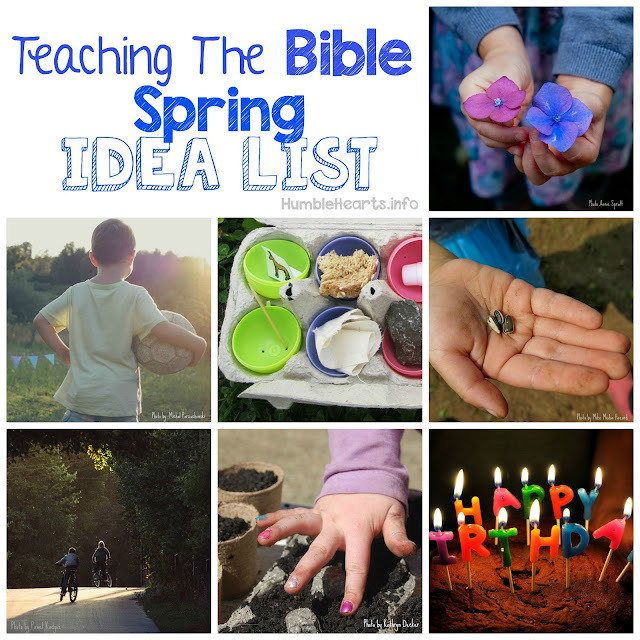 Look together at the craft your child did in Sunday School or Children's Fellowship. Talk about what they learned. Do a Bible coloring page with your child (both of you coloring) and talk about the people in the picture. 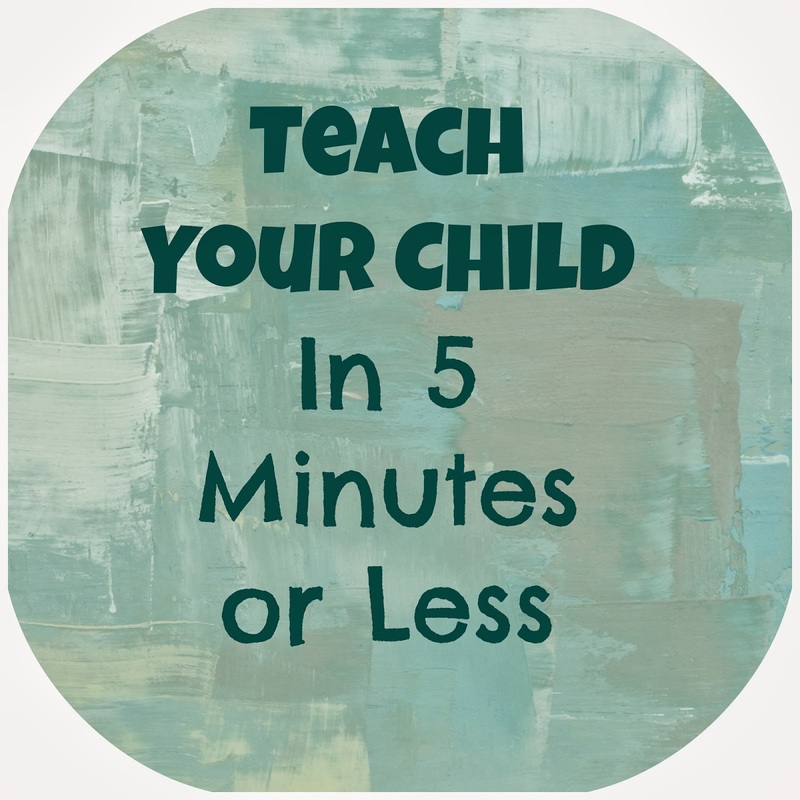 Depending on your child this may take anywhere from 30 seconds or 10 minutes. Point out something God made or created to your child. Talk about God's power and wisdom. Listen to music together that praises God. Talk about the song. Read from a children's Bible. Talk with your child about what you both are thankful for. Then pray and thank God together. Hug your child and tell him or her that God loves him/her. Pray with your child at night before bed. As we keep adding teaching moments into our days, soon teaching and training will be woven into our daily lives. We want to be diligent. "You shall teach them diligently to your children" Deuteronomy 6:7. But we are not going to be perfect. Today is a new day. I can take steps to be diligent today.